The Floyd Style Box – The UK's leading man's subscription box. Perfectly complimenting any blue or grey coloured suit, The Floyd Style Box was quick to show itself as one of the most popular additions to the Me My Suit & Tie subscription service. A stunning combination of light blue and pink perfectly harmonise an elegant silk tie and pocket square. 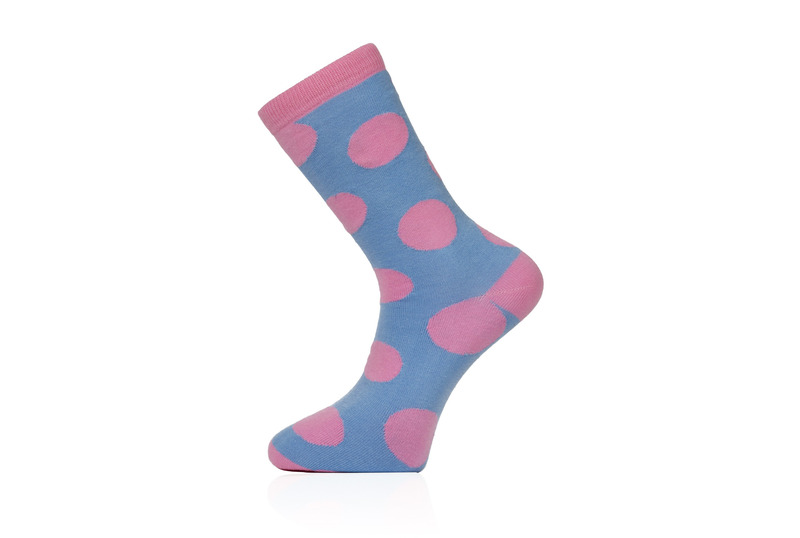 Matching polka dot socks, silver knot cufflinks and a handmade pink flower lapel pin complete the set as a total look. Brightening up any formal look The Floyd is ideal for a wedding, party or to simply add a touch of colour to your day. the set looks better in real life, so happy great product and price. Thought the products were great and that the delivery of the Style Boxes were of real high quality. The products themselves are also of a very high standard and all work really well together. Customer service has also been great! Going the extra mile to make sure your customers are satisfied. Stumbled on this site by accident, while looking for new styles. Since then I have brought at least 5 style boxes. Because it simply deliveries the best in quality and style.